Oklahoma City Dentist. World Class Smiles! Oklahoma City Dentist, Dr. Mark Hanstein a professional dedicated to Excellence in General, Family, & Cosmetic Dentistry such as Dental Makeovers, Opalescence, Laser Dentistry, CEREC, Lumineers, TMJ, Wisdom Teeth, Vizilite & many other dental procedures. 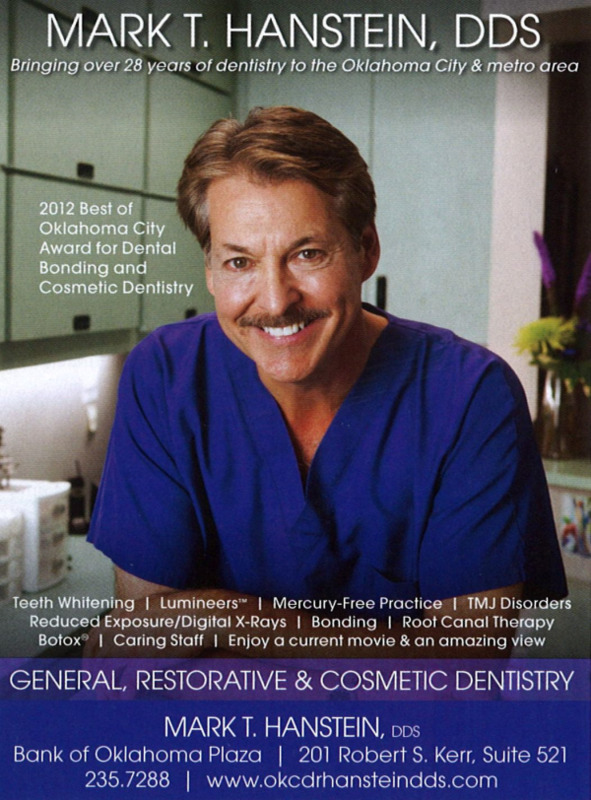 Please come and visit Oklahoma City Dentist, Dr. Mark Hanstein.